It’s no secret that I LOVE to garden. Every year, starting in early February I gather my seed catalogs and begin planting my starter seeds. By the time April rolls around, I’m ready to get outside and smell the dirt. Normally a little dirt under my fingernails doesn’t bother me at all. However, this year I find myself coming in from gardening and needing to make snacks for my little one or dinner for our family. That means I need to get my hands clean in a hurry. 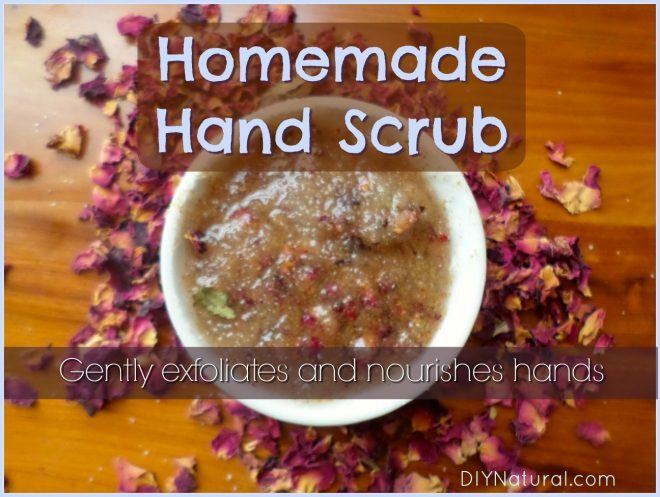 My favorite way to get rid of dirt is with this homemade hand scrub that gently exfoliates away stubborn dirt from my fingers. I always choose some gentle exfoliants as well as some nourishing oils to help keep my hands looking clean and moisturized. Not only does this scrub exfoliate and moisturize, but it has a wonderful floral scent that any gardener would adore. It makes a wonderful Mother’s Day gift or a fun rainy day DIY. 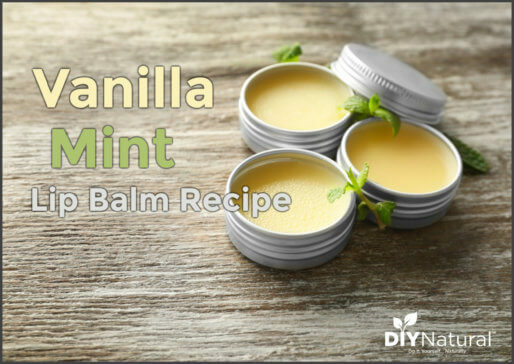 Each of the ingredients in this scrub are easily found online or at your local craft and grocery stores. Plus, this recipe can be easily customized, so feel free to experiment! 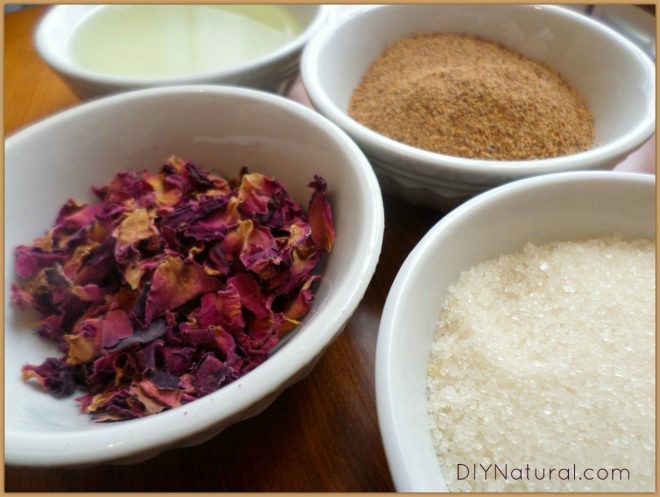 The exfoliants in this DIY gardener’s scrub include dried rose petals, apricot kernel, and sugar. All three are mild abrasives that will gently remove dirt and grime. Rose petals have been used to calm inflammation while apricot seeds and sugar are often found in many exfoliating scrubs. One of my favorite moisturizing oils is sweet almond oil. It is easily absorbed into the skin and contains high amounts of antioxidants like Vitamin E. In this scrub, sweet almond oil helps restore the moisture balance back to skin while also helping the scrub to reach down into pores and dislodge dirt. Sweet almond oil has also been used for its antioxidant properties. While the rose petals give this gardener’s scrub a very subtle rose scent, adding a little geranium essential oil really helps to drive home the rose aroma. Not only that, but geranium essential oil is skin healing and a wonderful anti-inflammatory. This oil works well as a mood booster and combats stress and depression. If you aren’t into the rose scent, you can easily transform this scrub into a citrus scrub by substituting dried lemon or orange peels for the rose petals and lemon or orange essential oils for the geranium essential oil. 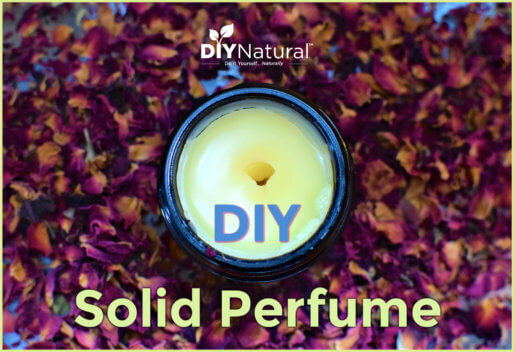 Or you could make a lavender version by substituting dried lavender buds for the rose petals and lavender essential oil for the geranium essential oil. The possibilities are really endless with this scrub! Begin by crushing rose petals into small pieces. Add rose petals, sugar, and apricot seeds to a small bowl. Add sweet almond oil, stirring as you pour. Add optional essential oils and stir well. Scoop a small amount of scrub onto hands. Gently work into fingertips and under nail beds. Some oil should remain behind to moisturize hands (this helps prevent over-drying). You can store this scrub for 1-2 months in an airtight, dark colored container. If you are looking for more DIY scrub recipes, try this list of the 50 Best Sugar Scrubs and 25 Best Salt Scrubs. 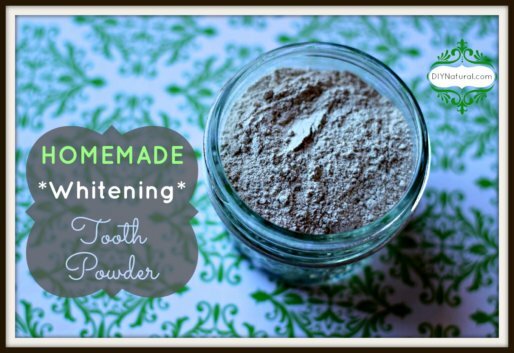 You can also add a touch of castile soap for extra cleansing.